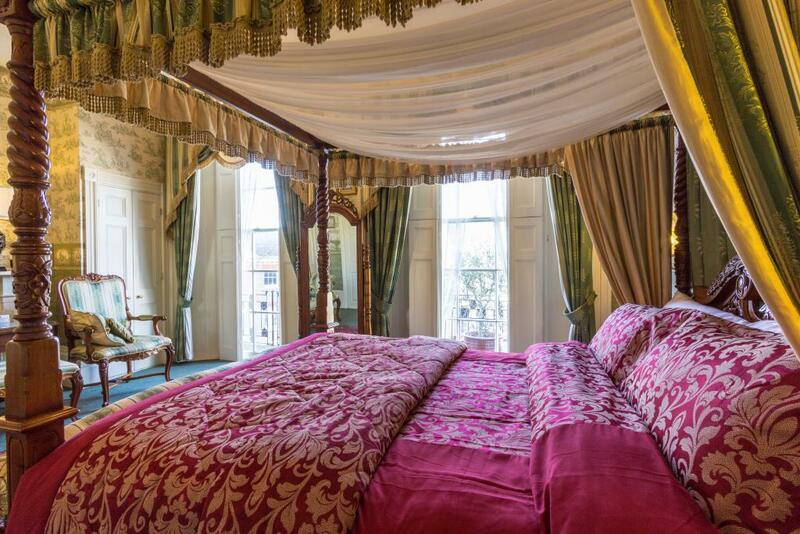 This luxury suite is fully decorated in Georgian period style furniture. 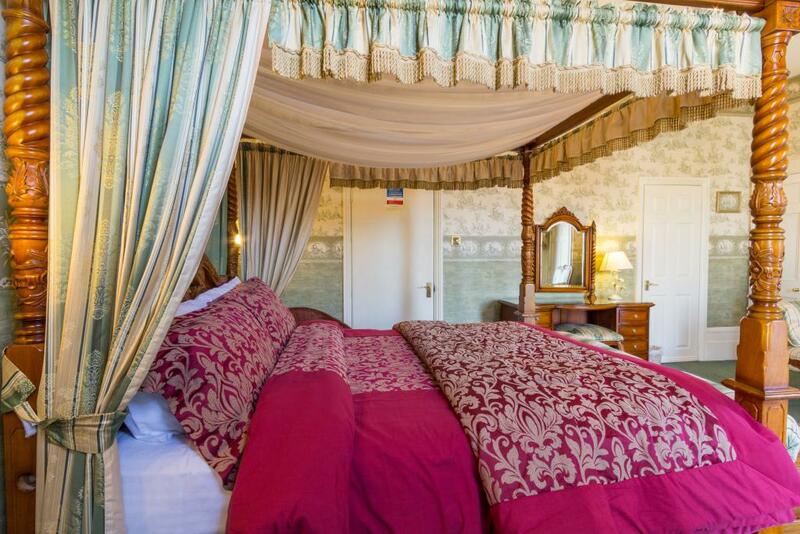 It has a four poster king size bed, large dresser, small dining table and a large bathroom with double bath. 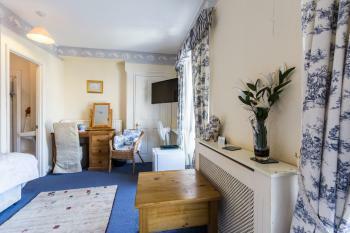 Facilities include a television and a fridge. 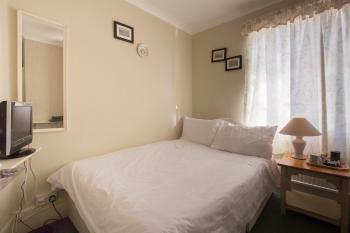 Spacious ensuite family room for 3. Room is beautifully decorated in period blue toille. With a gorgeous view of the conservation area square (especially in the summer). 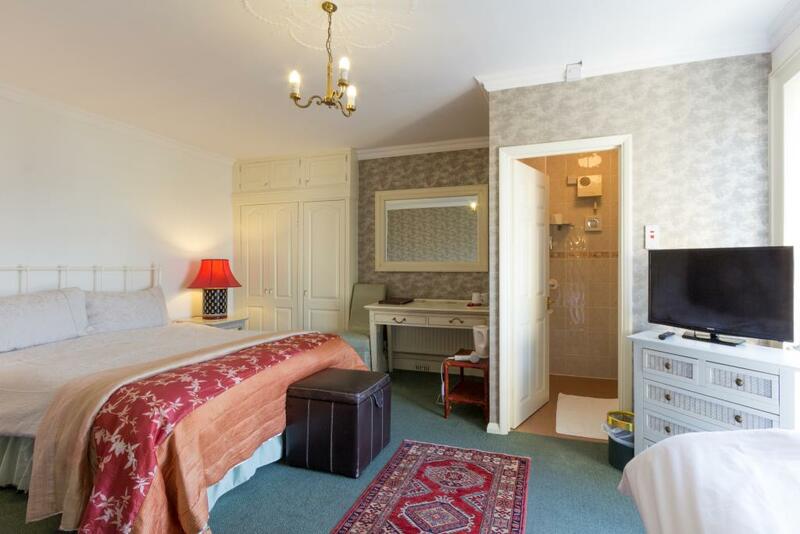 Room has dressing table, ensuite shower, Flat screen TV, DVD Player, plenty of seating and bathrobes. Note: children above 16 years will be charged a supplement. 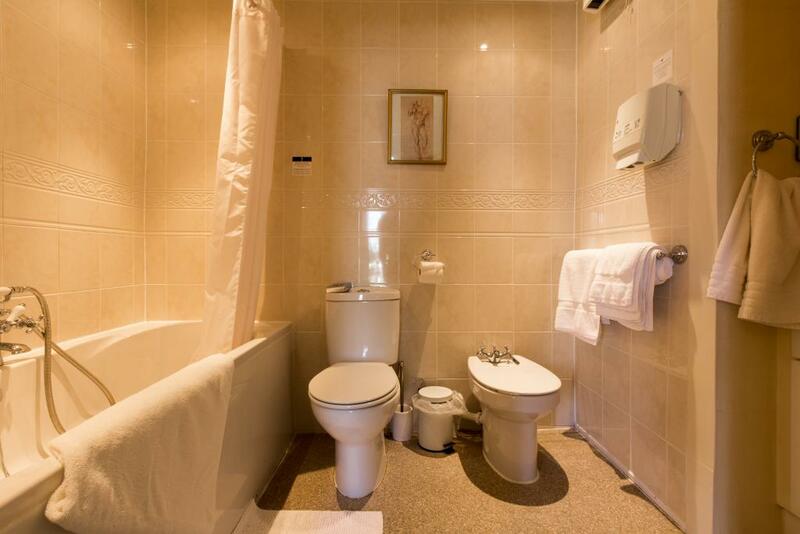 Spacious ensuite family room. 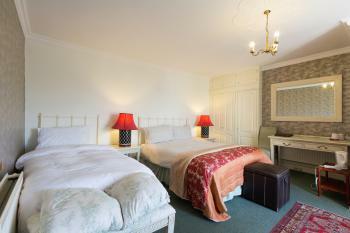 Room is beautifully decorated with "distressed look" designer furniture. 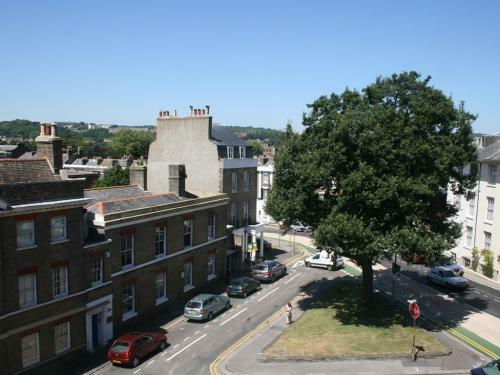 Boasts a gorgeous view of the conservation area square (especially in the summer). Room has dressing table, ensuite shower, Flat screen TV, DVD Player, plenty of seating, one kingsize bed, two single beds, and bathrobes. Please Note: If children are older than 16 contact must be made directly with owners at time of booking. 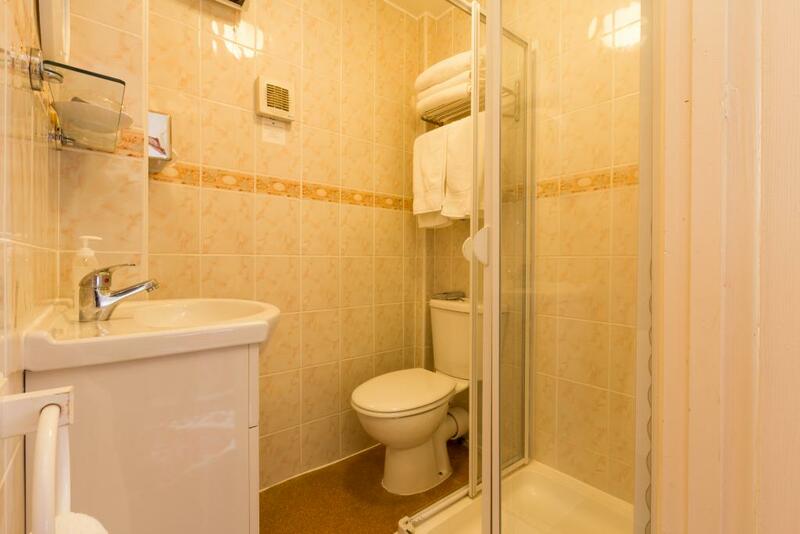 Spacious ensuite family room. 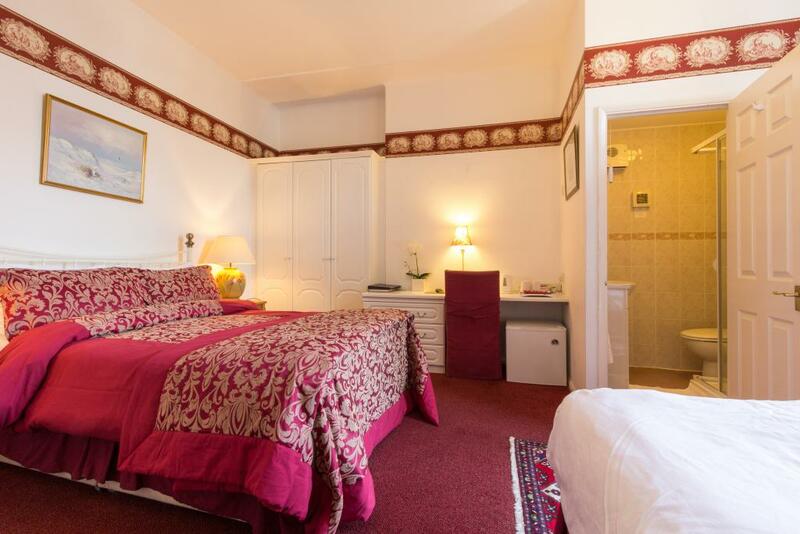 Room is beautifully decorated with "distressed look" designer furniture. Boasts a gorgeous view of the conservation area square (especially in the summer). 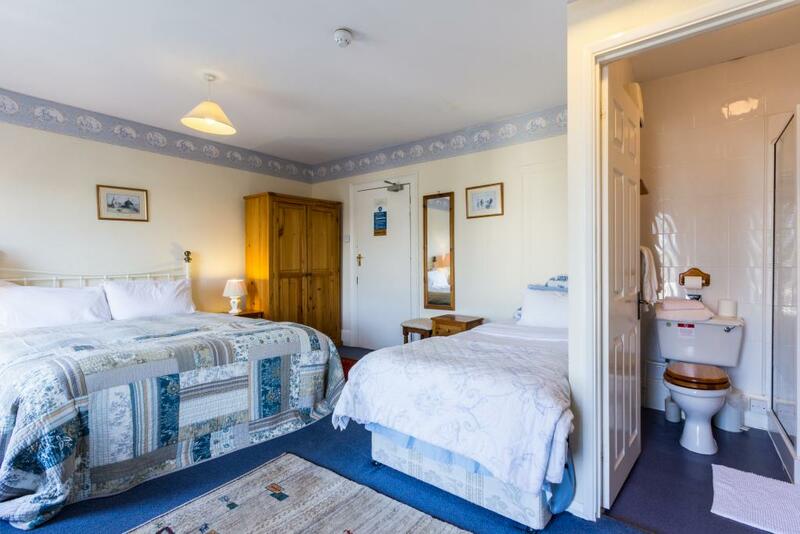 Room has dressing table, ensuite shower, Flat screen TV, DVD Player, plenty of seating, one kingsize bed, two single beds, one put up bed and bathrobes. Please Note: This is a family room for children under 16. Older children will be charged for. Our standard double room is perfect for those on a tighter budget. 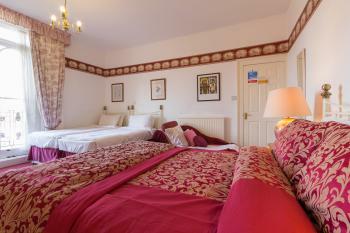 A slightly smaller room, but with all the excellent amenities the rest of the houses rooms offer. 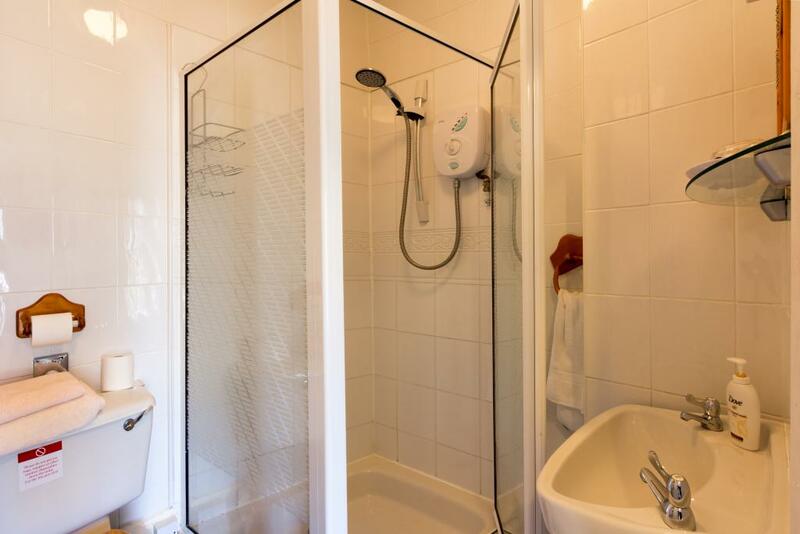 En suite shower and toilet, flat screen Freeview digital TV & DVD player, hairdryer, bathrobes, complimentary toileteries and full Fairtrade & organic tea tray. Hubert House is quite simply unique! A sophisticated Georgian townhouse beautifully restored and decorated with period furnishings throughout. Hubert House offers more options and choice than most accommodation providers with room only options, breakfasts to go, breakfasts in bed, the list is endless. 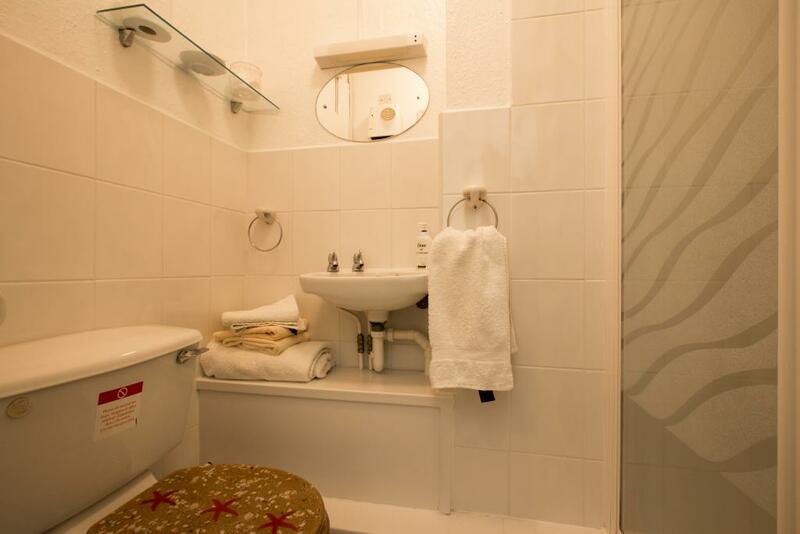 We want all our guests to feel special and relaxed. So we do our best to cater for every need we can think of. 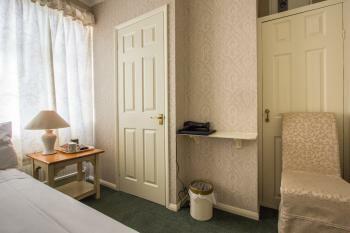 DVD players in all our rooms, digital freeview TVs, bathrobes, dental packs, sewing kits, toiletries, what more could you ask for? Not only are our standards and services far above the competition but our location is just brilliantl too!!! (nestling beneath the castle, just moments from both the beach, town centre, the ferry terminals and yet with plenty of guest parking)... with a gorgeous sunlit terrace. Every day we bake fresh French Viennoiserie ,delicious croissants, for the breakfast buffet. Special diets catered for.... please just ask! Award winning Kentish juices, real coffee, artisan teas, fresh fruit, yoghurts, cereals and Swiss Muesli. Fancy something hot or a treat see our breakfast menu for delights such as hot fresh porridge with maple syrup, Scottish smoked salmon with scrambled eggs or our "Full Monty", a full English with only the finest ingredients. Our buffet breakfast is inclusive in all our prices, hot items are available at small supplements. 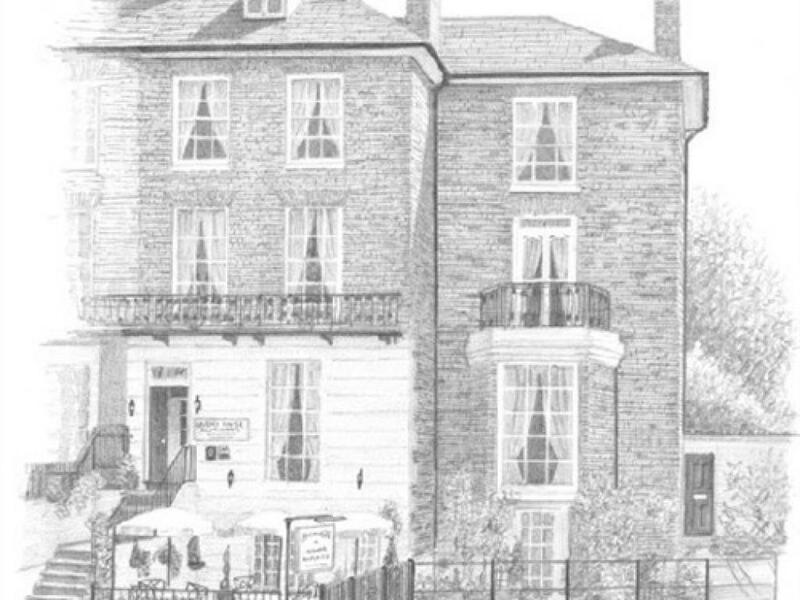 Also, we have a fantastic wine & drinks list, so (weather permitting) you can just relax with a tasty drop on the terrace...Hubert House has long been associated with channel swimmers and have even commissioned our own relay teams. Regrettably for the time being the Bistro has closed and lunchtime & evening meals are no longer avaialable. Head off of the A2 at roundabout taking Dover Castle turnoff, drice past the castle and follow road down the hill, take the first left and find Hubert House immediately to your left. From ferry terminal exit toward Dover centre, at leisure centre traffic lights turn right and right again slightly uphill with White Horse pub and old churh ruin on your right. Hubert House is on your right immediately after you pass the pub. Walking from the station head for town centre down the hill. At roundabout cross over and through side street till you reach the main high street. Turn right here heading down high street till you get to the square with the fountain and turn left. You should be able to see Dover Castle now and are on Castle Street. Head up over traffic lights and uphill till you reach a small "square" with a large tree. Hubert House should be directly opposite you behind the tree.